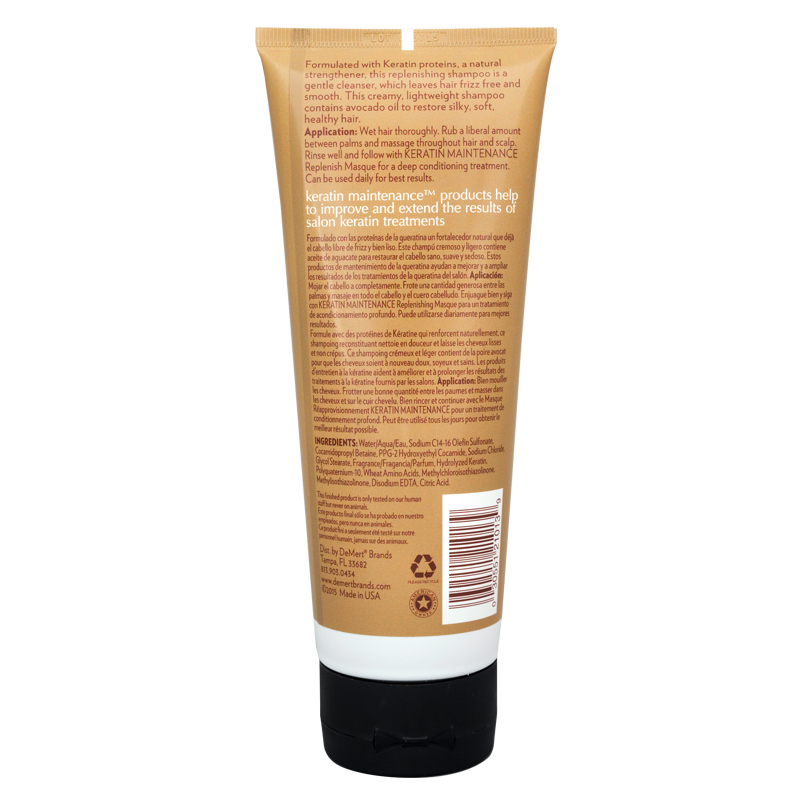 Formulated with Keratin proteins, a natural strengthener, this replenishing shampoo is a gentle cleanser, which leaves hair frizz-free and smooth. Application: Wet hair thoroughly. Rub a liberal amount between palms and massage throughout hair and scalp. 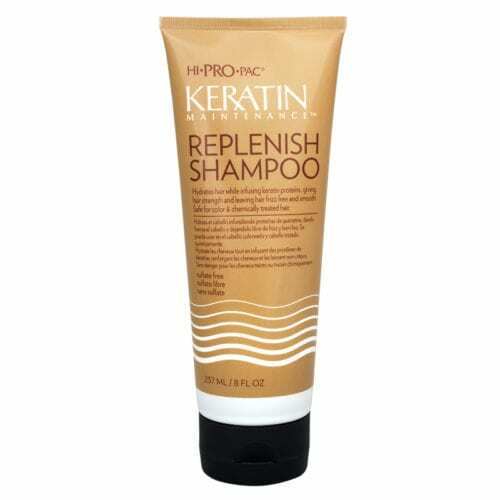 Rinse well and follow with Keratin Maintenance Replenish Masque for a deep conditioning treatment. Can be used daily for best results.